Mayor of London Sadiq Khan during London Tech Week in London. Friday, July 13; Washington, D.C. - In an interview airing on this evening's edition of All Things Considered, NPR's Mary Louise Kelly interviewed London Mayor Sadiq Khan at London's City Hall. After being criticized by President Trump in an explosive interview with The Sun, Khan defended himself, and urged Prime Minister Theresa May to do the same. Khan responded by listing other European cities that have been recent targets of attacks including Manchester, Paris, Berlin, Brussels and Nice. 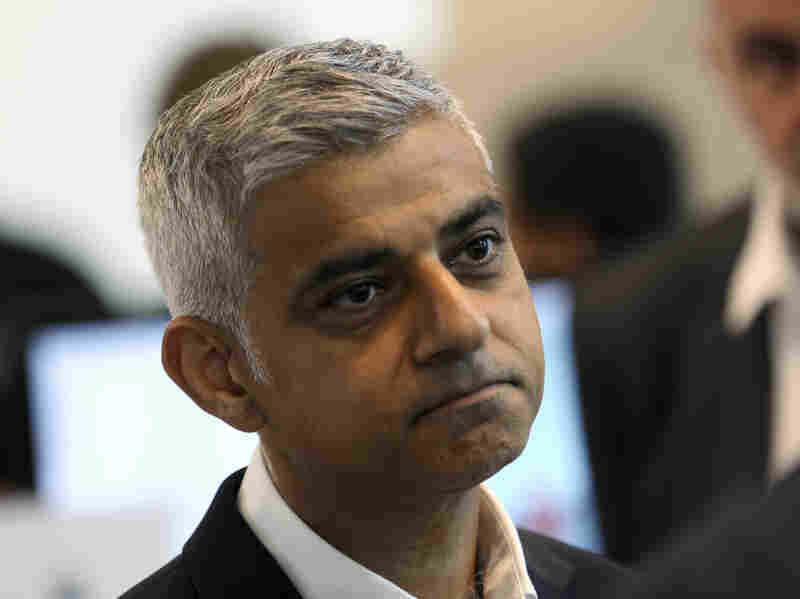 "It's for President Trump to answer why single out, singling me out as the Mayor of London, not mentioning the other mayors or the other leaders of those countries. I mean, he's got to explain why he's doing this. It's not for me to do so." "I would expect Prime Minister May to have the confidence to say to President Trump today when they meet that actually he's wrong, not just he's wrong in relation to terrorism, he's wrong in relation to linking the rise of immigration from Africa to Europe with the link in crime, but also he's wrong in relation to his views on Brexit." "It really isn't." He said "It's not for me to be a censor and decide what's in good taste," and raised a protest planned tomorrow by supporters of the far-right. "I may not agree with the extreme far-right but they should be allowed to protest. The key thing is it should be peaceful and it should be safe." He continued, "The idea in 2018 that we should be stopping people protesting in a particular way they found to protest simply because it may hurt the feelings of somebody, Americans and Brits who cherish our freedom to protest, our freedom of speech, would find inexplicable."